The iStent Trabecular Micro-Bypass is a surgical device that is available for use in treating patients with mild-to-moderate open-angle glaucoma. Glaucoma is characterized by an excessive accumulation of fluid inside the eye, which leads to an increase in the inner eye pressure (intraocular pressure). This can damage the optic nerve and lead to a gradual loss of vision. One cause of glaucoma is poor drainage of the fluid inside the eye, which, again, leads to increased intraocular pressure. The iStent device works by providing a permanent path for fluid to flow out of the eye. By restoring the flow of fluid, the pressure inside the eye is reduced. 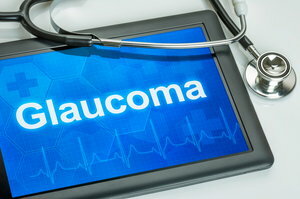 While the device is used to treat glaucoma, it is implanted during cataract surgery. This is done as an outpatient surgery, which means you can go home after the procedure is finished. The device is made of titanium and is very small (only 1 millimeter long). Once it is in place, you will not be able to see or feel it. 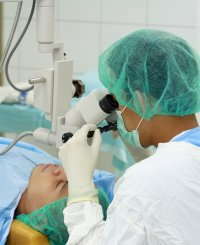 After iStent surgery, most patients’ vision improves that day. Many are also able to stop using medicated eye drops to reduce the pressure inside their eye. Others may be able to reduce the number of eye drops they need to use to control their inner eye pressure. The iStent device is not recommended for people with certain conditions such as angle-closure glaucoma, certain eye tumors and thyroid eye disease. Please contact our office to schedule an appointment and find out whether you are an appropriate candidate for iStent treatment.